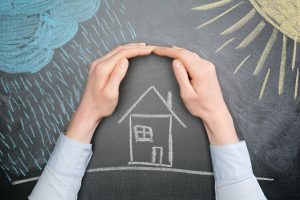 Can the Weather Affect Your Chances of a Sale? The weather and the property market are two uniquely British fixations and these subjects have kept many a dinner party from lapsing into awkward silences. It seems the two are linked, as well, as the weather does actually affect property sales, but not in the way you’d think. Apparently, first-time buyers like to do their hunting in a Goldilocks style – not too hot, not too cold, but just right. They may need some temperate comfort to help them along as they take their first steps into this bricks-and-mortar jungle. When it comes to properties going to market, however, then most like it hot! Most estate agents report a spike in the number of new properties during July and August, although school holidays may help this trend along. Although undeterred by rain, the sun seems to get the UK’s movers moving as many vendors believe that the sunshine makes everything look better. It could also be that the increased hours of sunlight make for more viewings in daylight hours, which means more chance to show off the garden. Having said all this, sales and new instructions do slow right down over Christmas. However, this isn’t so much down to the weather and the lack of daylight hours as the fact that people have other things on their minds. The run-up to Christmas is seen as something to get past before any big life decisions are taken, and this includes putting a house on the market or looking for a new one. Everything gets going again in spring. Copyright for the image within this blog post is owned by ‘ptnphoto’, and has been licenced for use on this blog post through Big Stock Photo (stock photo ID: 80538977). For questions relating to this image please contact the copyright owner directly.